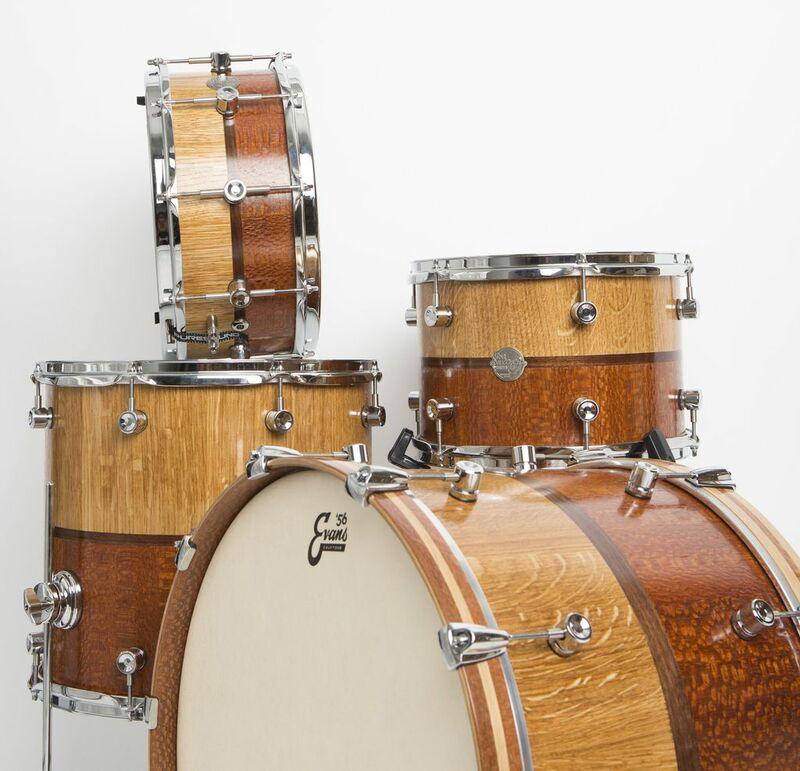 A solid stave dual-species kit made from Quartersawn White Oak & Leopardwood with Walnut inlays. 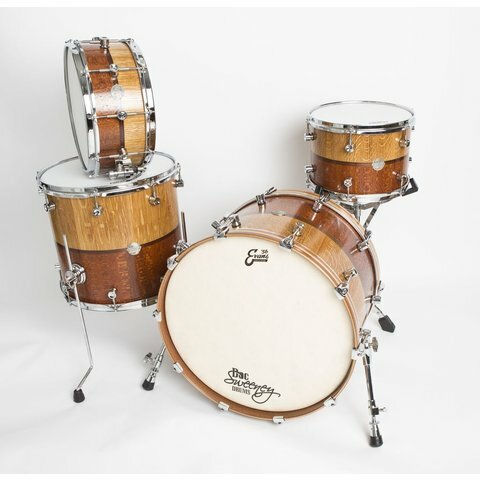 This kit was featured in Drumhead Magazine. Sizes: 22x15, 16x15, 13x9, and 14x6.5. Doc Sweeney lugs.